For all you DC fans, it’s been announced that Cryptozoic Entertainment is releasing a new expansion for the DC Comics Deck-Building Game. 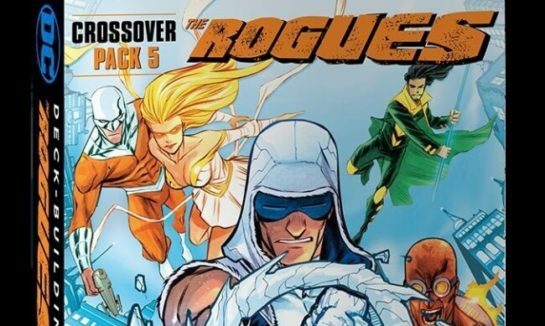 It’s entitled Crossover Pack #5: The Rogues. This adds the element of teamwork to the game – kind of. The keyword can be found on each of the oversized Super-Villain cards and new cards as well. This allows players to play the top card of another player’s deck – with the knowledge that if they use teamwork, they will also get part of the take. Rogues cards also grant the immediate victory points when obtained. Will you unite or will it be every hero for themselves? Look for this expansion in early 2017.